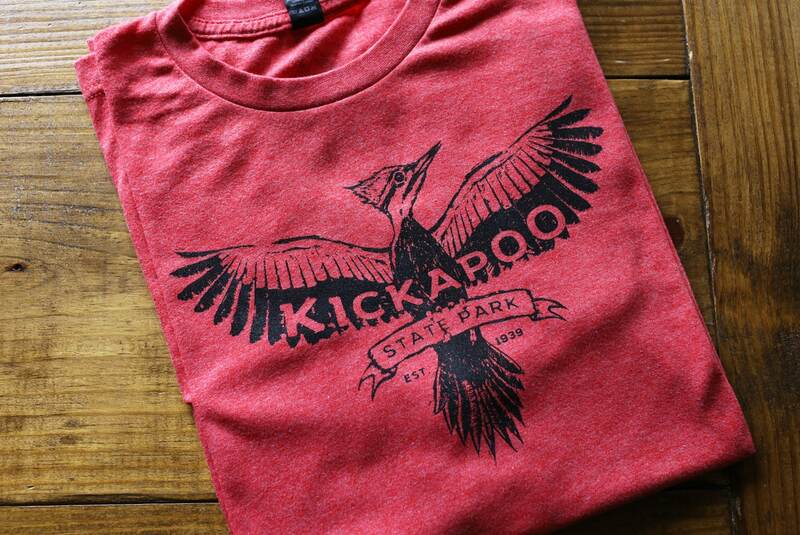 Take a break from civilization and pitch a tent in this super rad vintage style Kickapoo State Park T-shirt from Smiling Snake. The retro and campy “thunderbird” style logo depicts a local pileated woodpecker in flight. Design will be hand printed on a buttery soft District Made Red Heather unisex tee.